city of the stars, originally uploaded by hep. 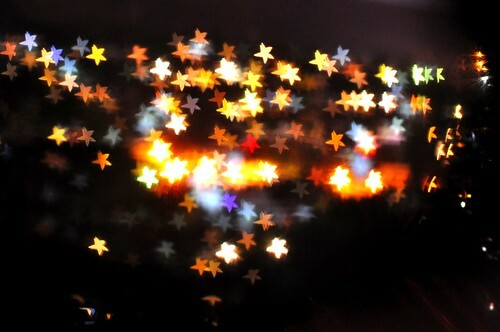 arts and crafts bokeh tonight. 10 cents worth of black construction paper and tape. take that lensbaby $10 aperture kit and $80 optic to drop it in. I completely love these stars and was sad when they dropped off my friends page. So i've come back to have another look.